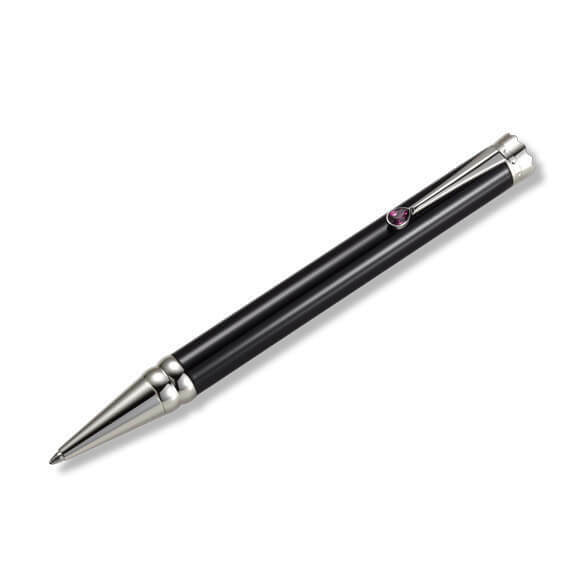 The Wedding Pen Black Edition embody everything that characterizes your relationship. Purity, majesty, splendor and authenticity. Even look at the first is immediately apparent that this writing instrument is designed for a specific purpose – your wedding. The color black constitutes the basic color of this Wedding Pen. During manufacturing, the shade is applied in several complex steps. Multiple layers and repeated polishing of the surface are needed to make the paint glitter. 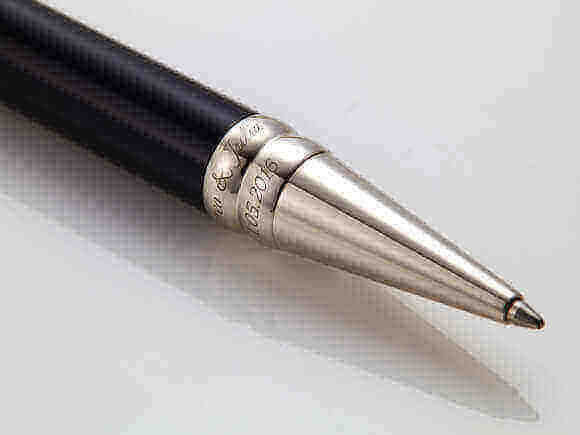 The two rings, which inevitably recall the wedding rings, are the heart of the Wedding Pen. They are perfected with the names of the couple and the common wedding date. The Wedding Pen is therefore the first thing carrying both names in the couple’s common life. After the names have been engraved in the rings during manufacturing of the Wedding Pen, this part of the writing instrument is coated with a plating of pure gold. Thus, the names and the date will be preserved forever. The Wedding Pen is made by a traditional manufacturer in the “Golden City” of Goldstadt Pforzheim. To honor this glorious tradition in the manufacture of jewelry, watches, wedding rings, and fine writing instruments, and after successful quality control, each of our products is crowned with a genuine diamond. This Diamond guarantees that it is a product of the highest quality. 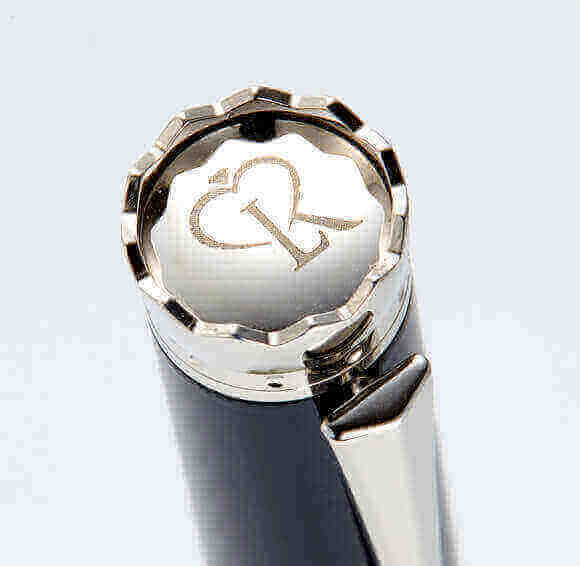 The diamond is located on the shaft at the bottom of the Wedding Pen, together with our trademark, the heart-crowned LK for Lila Krone. The Wedding Pen is also the ideal wedding gift. 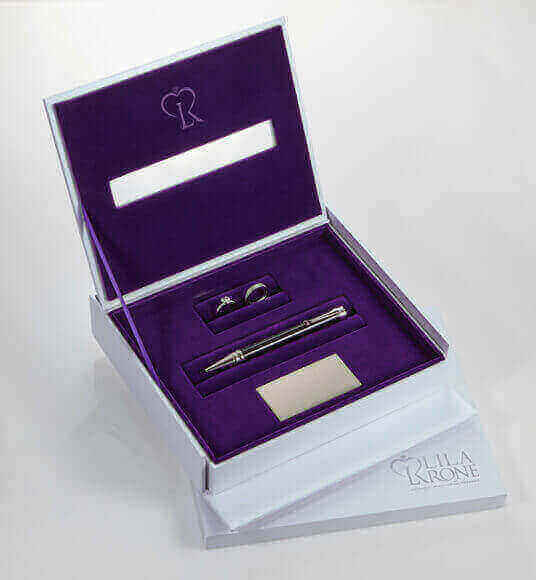 Since every Wedding Pen has its own serial number, our system assigns it to a specific bride and groom. This makes it impossible for a couple to receive duplicate Wedding Pens. Also, the gift-giver hereby sets him/herself a monument, because the bride and groom will certainly keep this gift to the end of their lives, or perhaps even pass it on to the next generation. Since we are absolutely convinced of the quality and workmanship, the Wedding Pen comes with a 10-year warranty from the date of manufacture. IMPORTANT: After you place your order, you will receive an e-mail from us asking for the exact desired engraving. Please make sure to specify a valid e-mail address when ordering! Please also note that the production of your Wedding Pen may take up to 14 working days. Wedding Pen a été fondé en 2013 par les frères Stenta à Pforzheim, la ville de l’or.